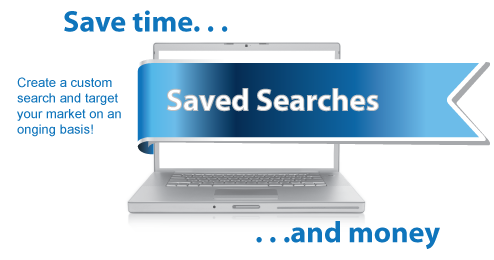 View Coverage and Start Free Trial! 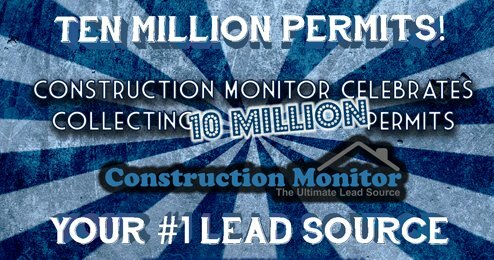 Construction Monitor is the industry source for accurate, timely and complete building and solar permit information in the United States. Our construction leads include key project data to help building professionals, general contractors, subcontractors and suppliers to better target and reach new customers. Search our construction leads for your next construction job, or run a detailed report for project specifics. Track new trends, compare areas and market share. Track construction project activity with building permit information. Print mailing labels from our database for direct marketing campaigns. Each of our sales leads include key names and contact information. 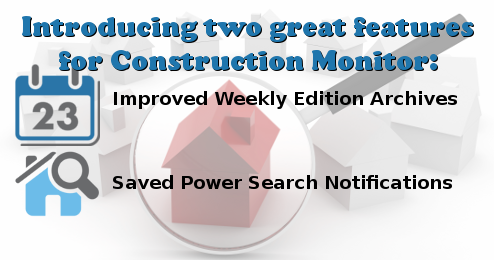 Stay up-to-date with new construction leads added hourly. We have building information on the latest construction projects. 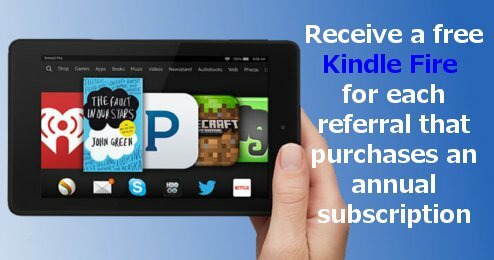 Keep current with our weekly edition. Each week we release a new edition with thousands of construction leads. Ready to get started? Sign up today to get the ultimate residental, commercial, and solar construction lead source. This page took 0.289 seconds to make.